I am voting for Nebraska (which was mostly filmed in Montana). Films depicting noble Arabs in the Middle East and Jews acting as con artists in America scored high among the Oscar nominations that were made public on Thursday morning, January 16, 2014 in Hollywood. 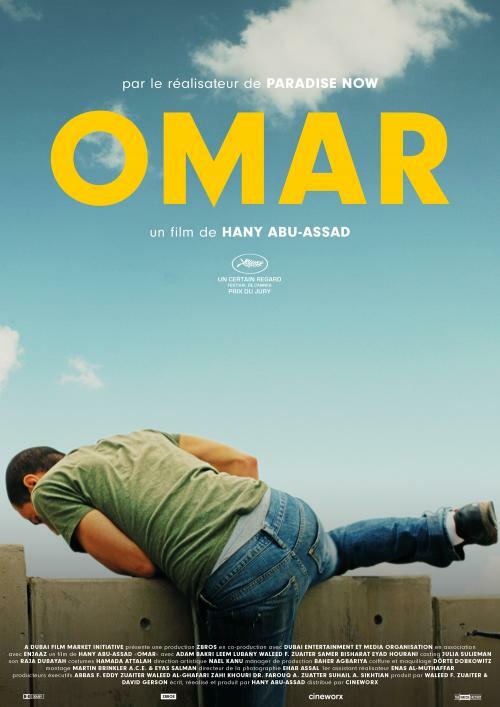 An Oscar nomination for Best Foreign Language Film was received by OMAR, a film from Palestine directed and written by Hany Abu-Assad. The film will be released in the United States in February 2014, and tells the story of Omar, a young Palestinian baker who decides to fight Israel. He is beaten and interrogated by Israelis, and pushed into serving as an agent, or double agent. The love story stars Waleed Zuaiter, Adam Bakri, Leem Lubani, Samer Bisharat, and Eyad Hourani. Abu-Assad’s earlier film, “Paradise Now,” was nominated for an Oscar in 2005. OMAR was filmed in Nazareth, Israel, and in Nablus and other parts of the Palestinian Territories. The Palestinian and Emirati production was the opening film of last year’s Dubai International Film Festival (the DIFF); it received the Jury Prize at the Cannes Film Festival last May. The film, OMAR, is similar in story to the Israeli Oscar candidate, BETHLEHEM, which never made it to the Oscars’ short list of semi-finalists. It is a reminder that films titled for people do better than those named for a town. A nomination for Best Documentary Feature was received by THE SQUARE, by Jehane Noujaim and Karim Amer. It follows half a dozen participants in Cairo’s Tahrir Square for nearly three years. Noujaim’s earlier acclaimed documentaries include StartUp.com and The Control Room. Noujaim, a resident of Cairo, began filming the demonstration in Tahrir Square and followed several charismatic protestors including a British actor/activist, a Muslim, a member of the Muslim Brotherhood, and more. Her team shot over 1,600 hours of Digital Video and edited it down to 90 minutes. After showing the gripping, bloody film at Sundance last January, she shot more video and re-edited the doc after President Morsi was forced out of office in 2013. Watching THE SQUARE, you get a on-the-street view of the protests, organization, lack-of-organization, and the story of how the most well-meaning, debate-filled activists can easily lose the war to a more organized group, like the Army or the Muslim Brotherhood. Of course, my favorite part of THE SQUARE was the woman – a picture of Che on her bookcase in the background – who said she was so fed up with Egypt that she would even let a JEW be President if he could restore order. My only question is why did Magdy Ashour, a member of the Muslim Brotherhood, whose own son was ordered to beat him and other protestors, always wear the same anti-Israel BDS movement t-shirt each day (when he wasn’t wearing a Morsi t-shirt). Major nominations for actors, actresses and films went to films that portrayed Jewish men as con artists. They included WOLF OF WALL STREET and AMERICAN HUSTLE. In AMERICAN HUSTLE, a New York City small-time con man, Irving Rosenfeld, meets a lovely hustler named Miss Sydney Prosser and their scams are targets of FBI agent Richie DiMaso. They are forced into an even larger scam. Irving is based on the real life scams of Melvin ‘Mel’ Weinberg. In WOLF OF WALL STREET, a broker decides to start a penny-stock scam/boiler room and generate millions of dollars in profits for him and his brokers. The story is based on the real life crimes of Jordan Belfort, a Jewish young man from Bayside, Queens who graduated from American University with a degree in biology, and generated millions of dollars before being sent to prison. His partner in the firm, Stratton Oakmont, was Danny Porush (played by Joanh Hill in the film), who served 39 months in prison. The Oscars will be telecast in America on ABC-TV on Sunday, March 2, 2014.